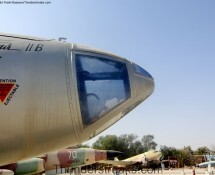 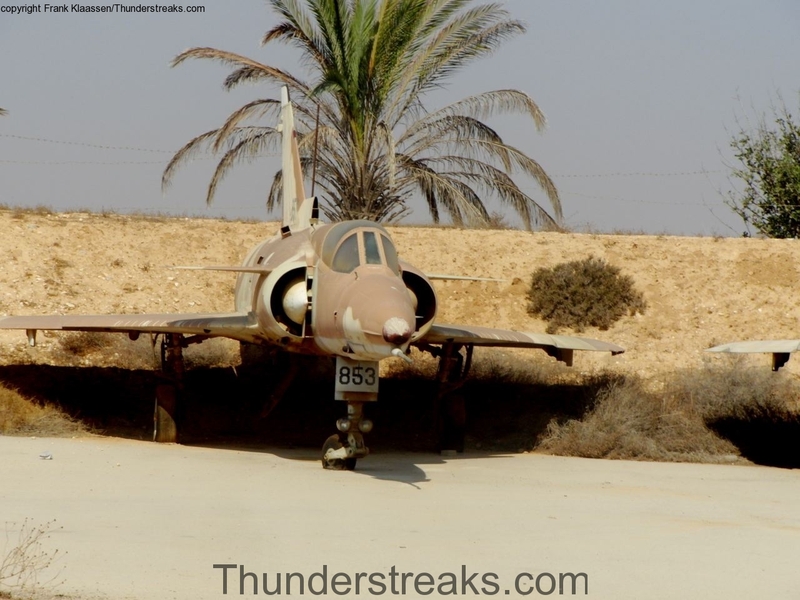 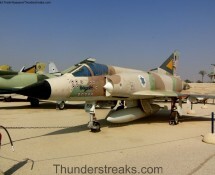 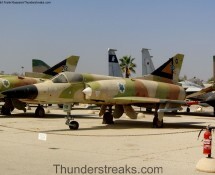 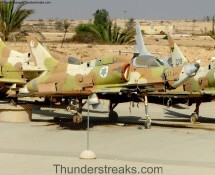 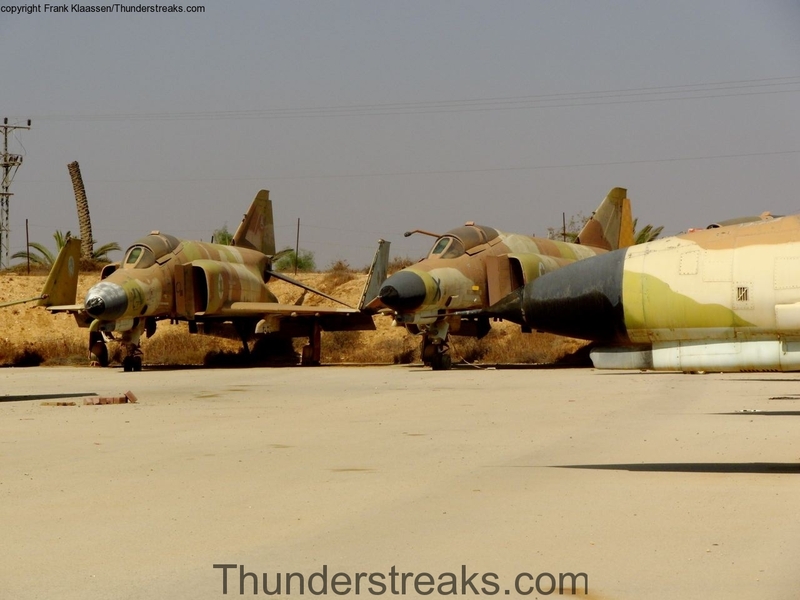 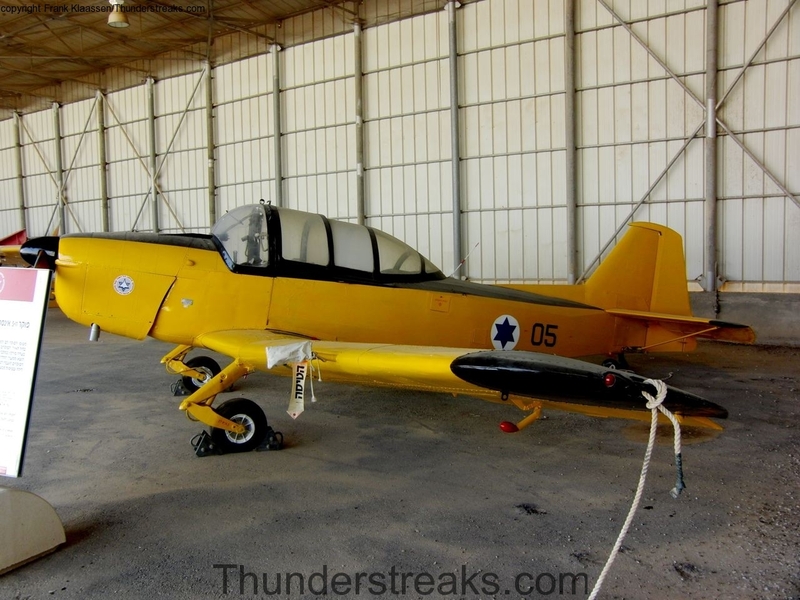 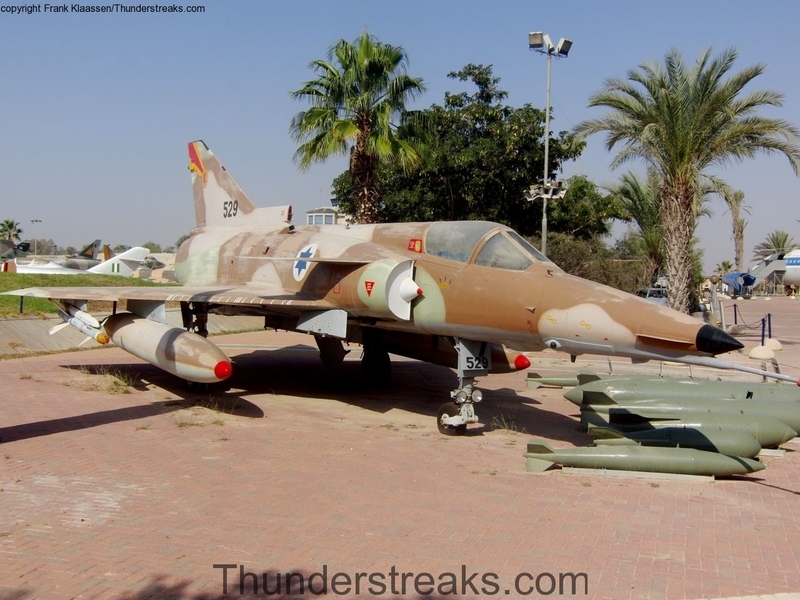 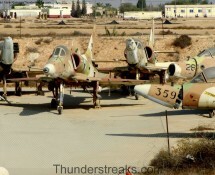 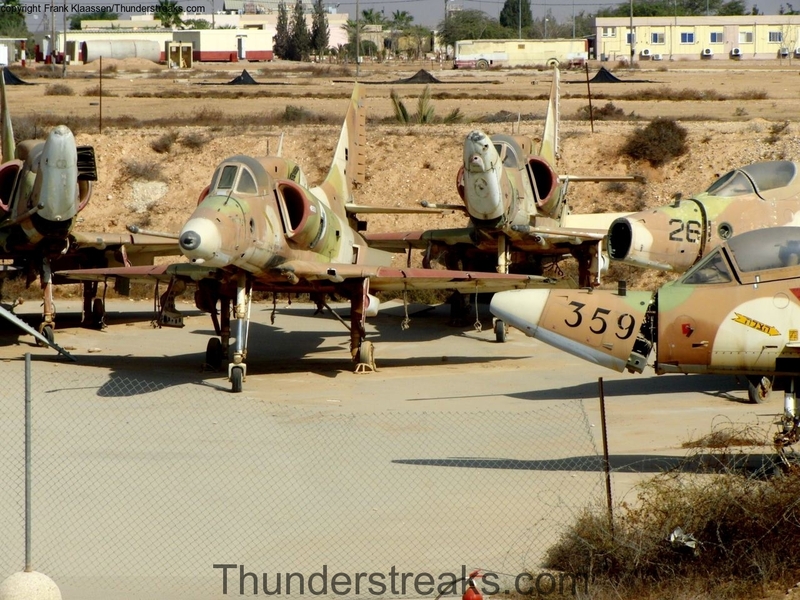 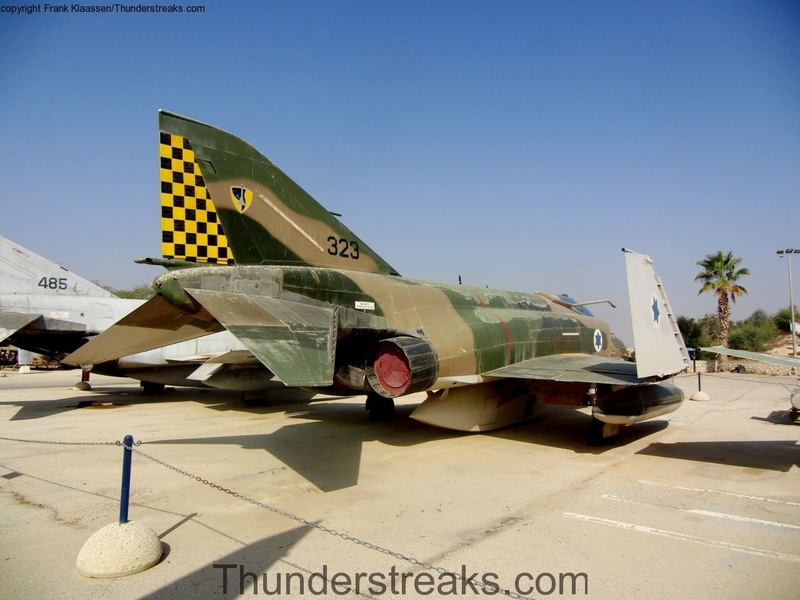 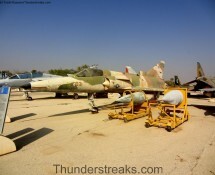 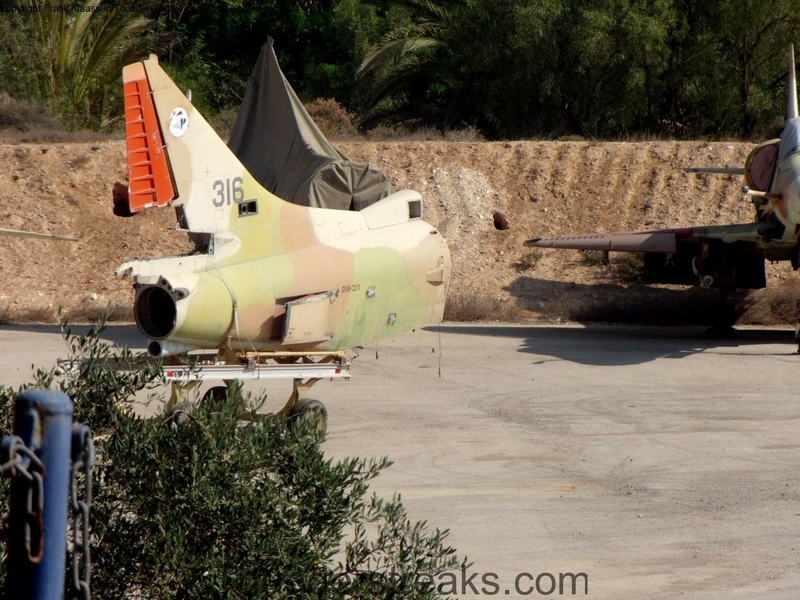 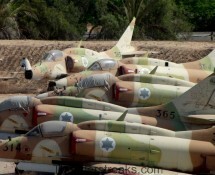 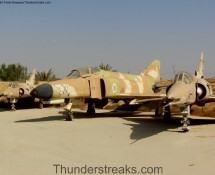 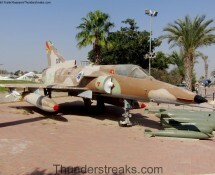 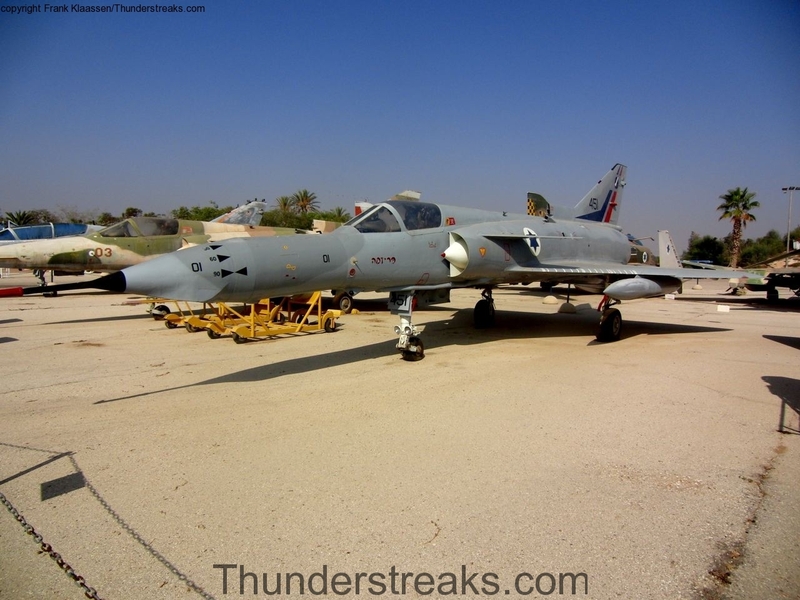 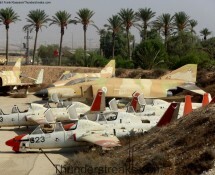 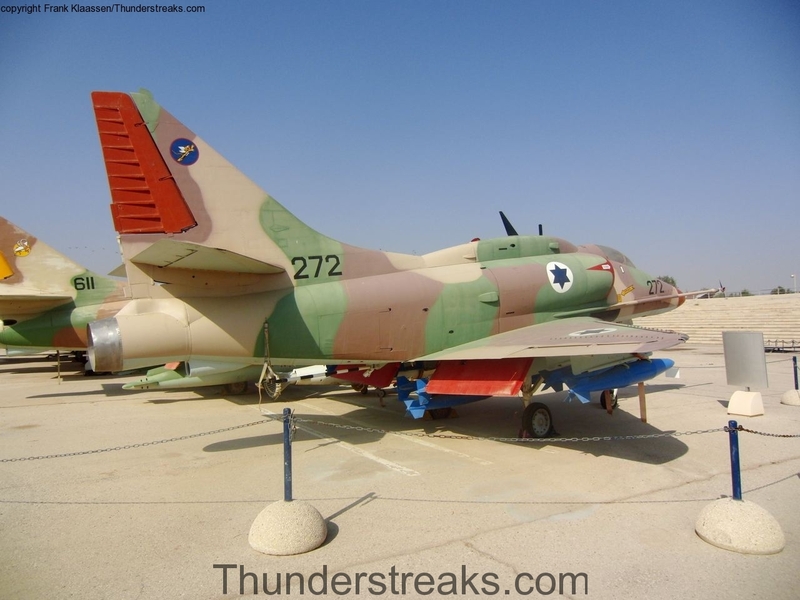 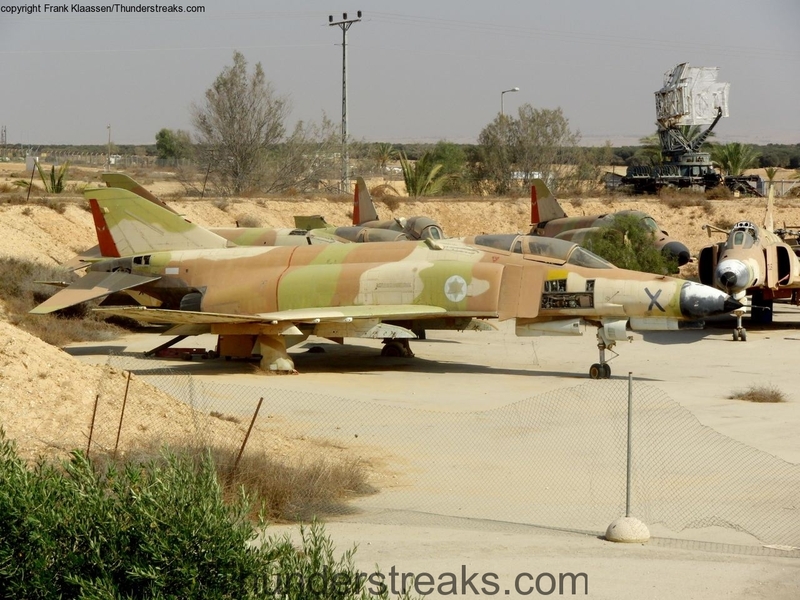 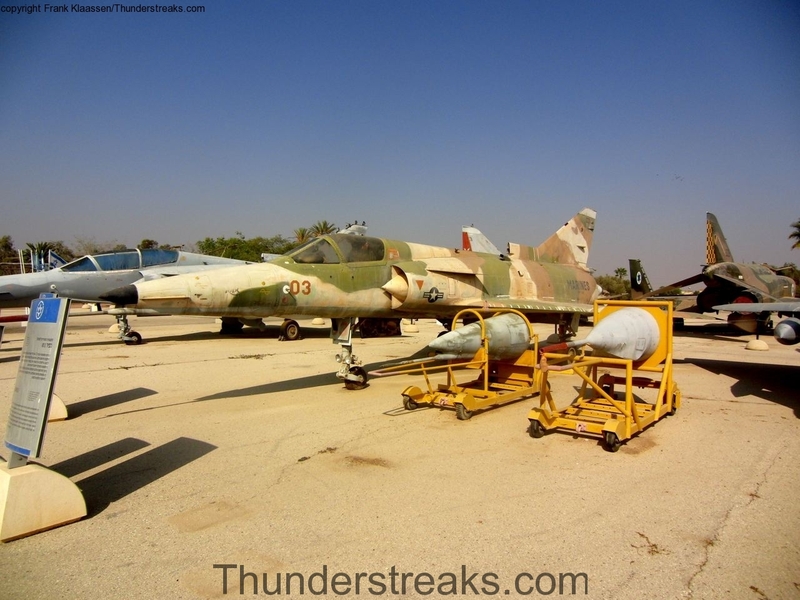 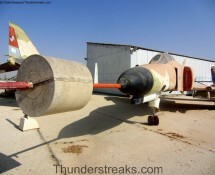 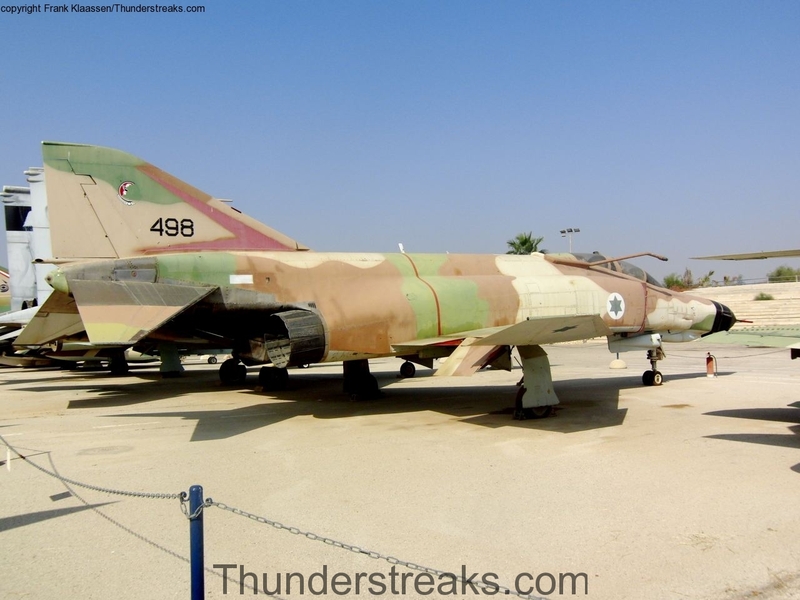 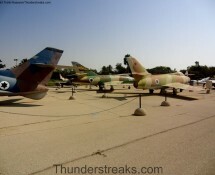 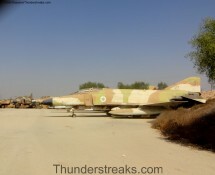 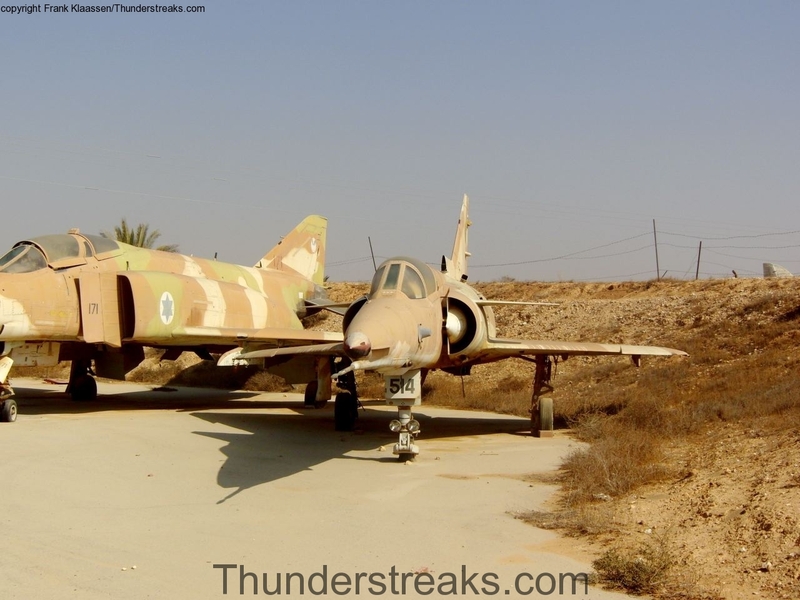 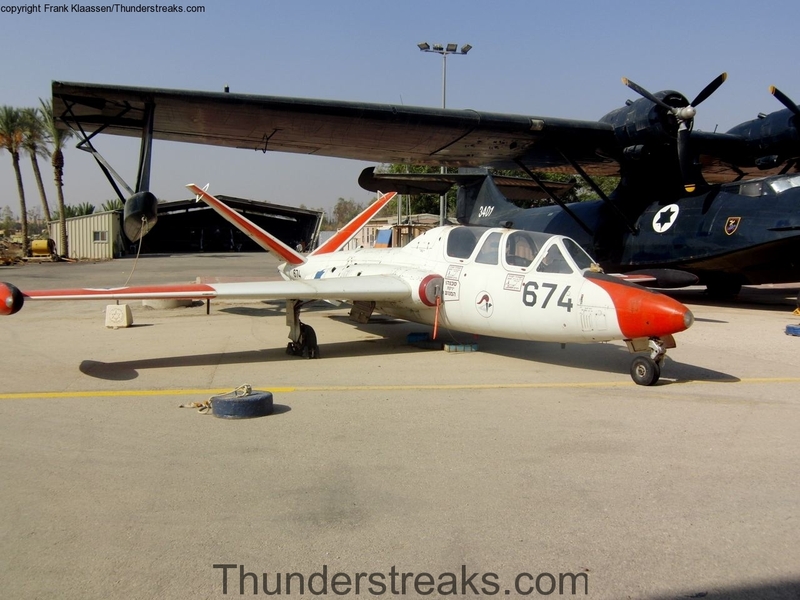 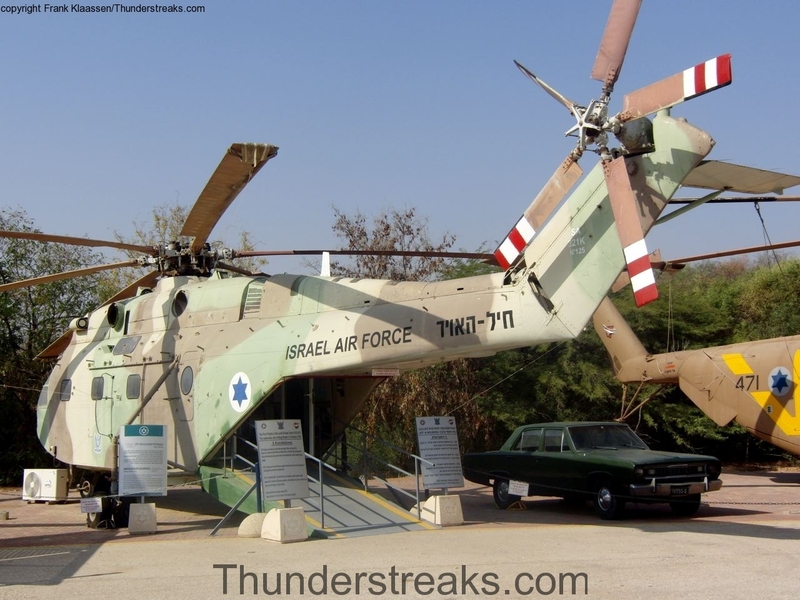 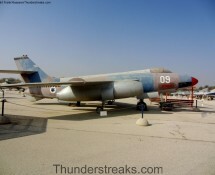 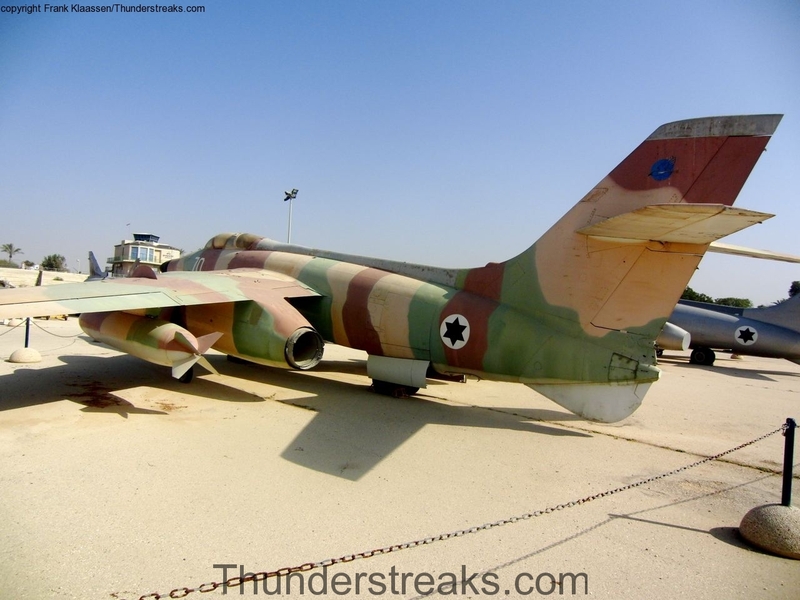 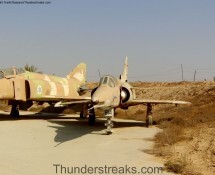 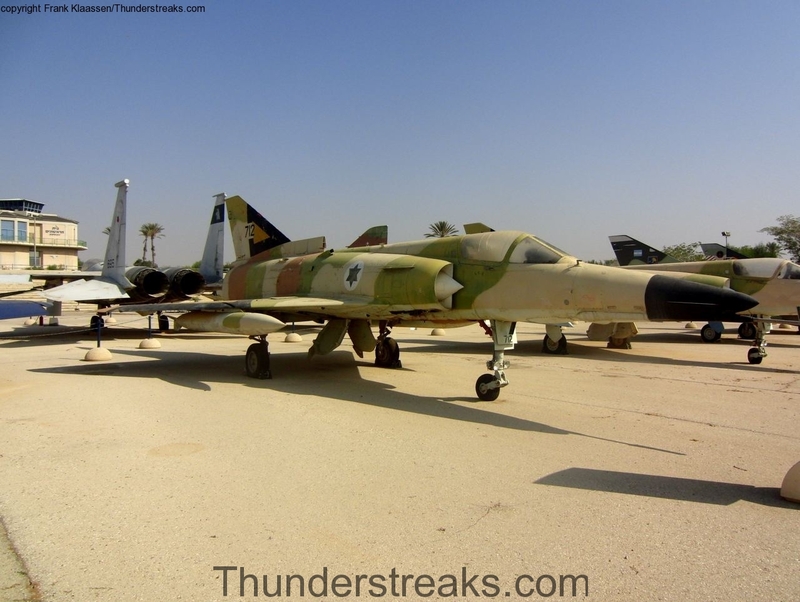 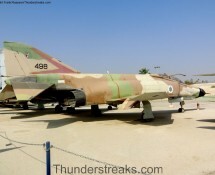 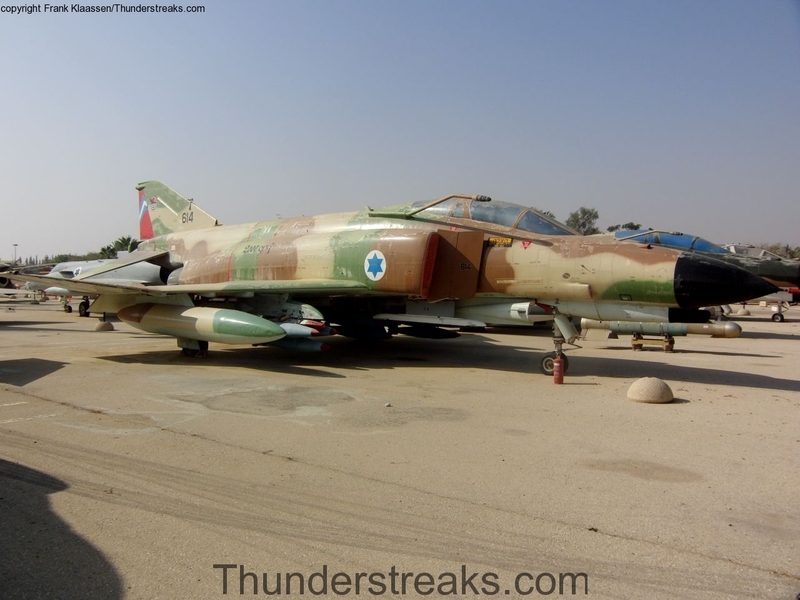 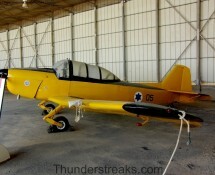 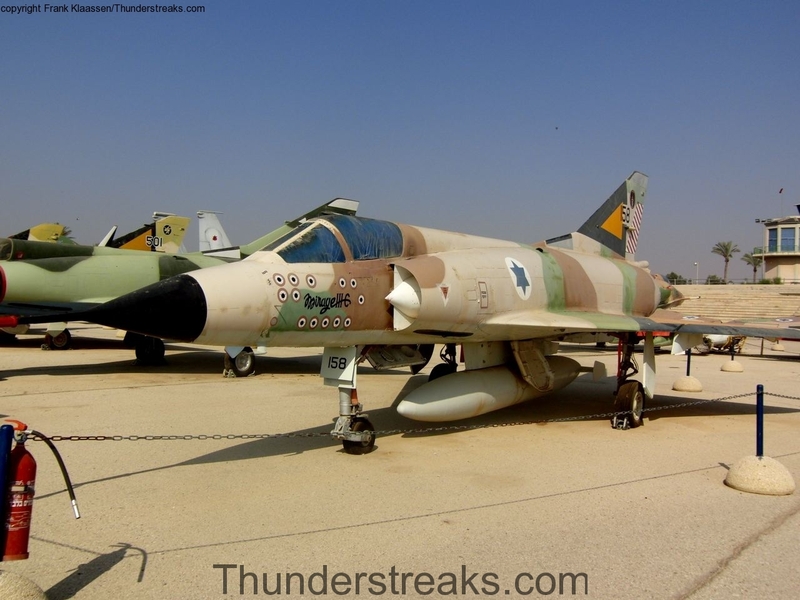 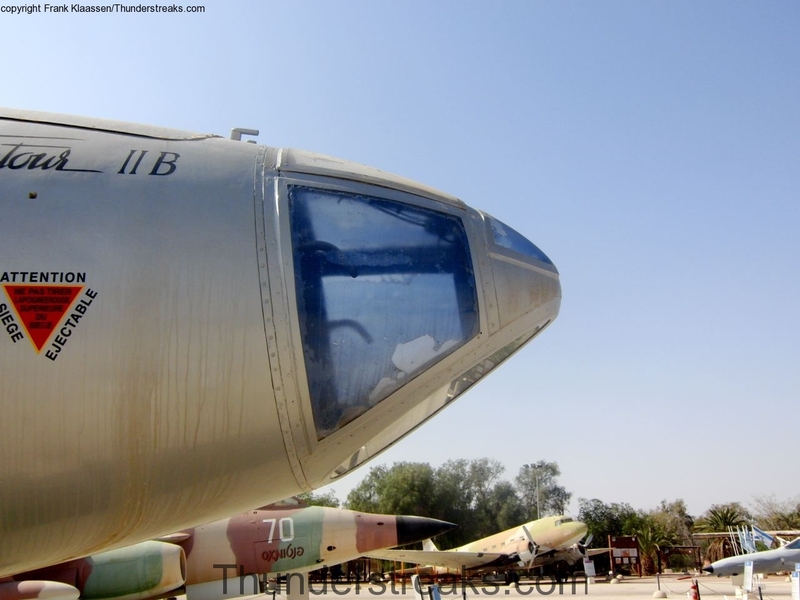 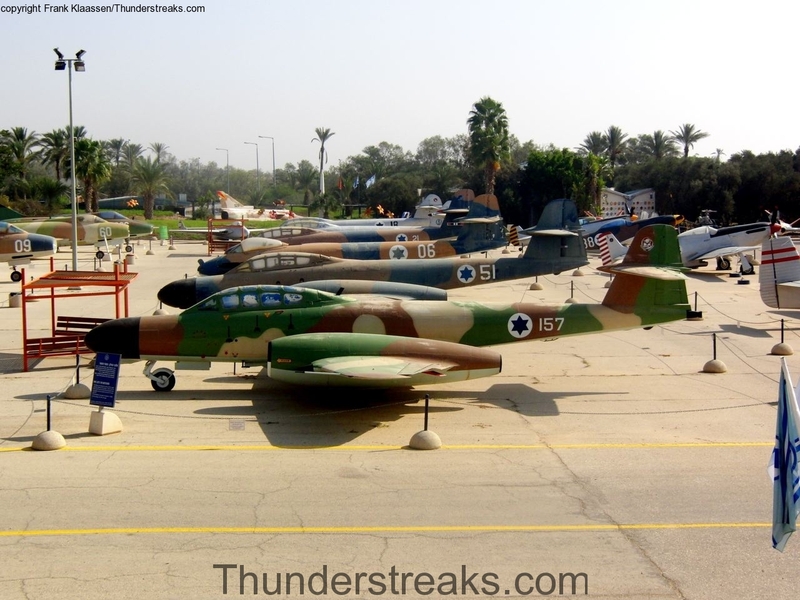 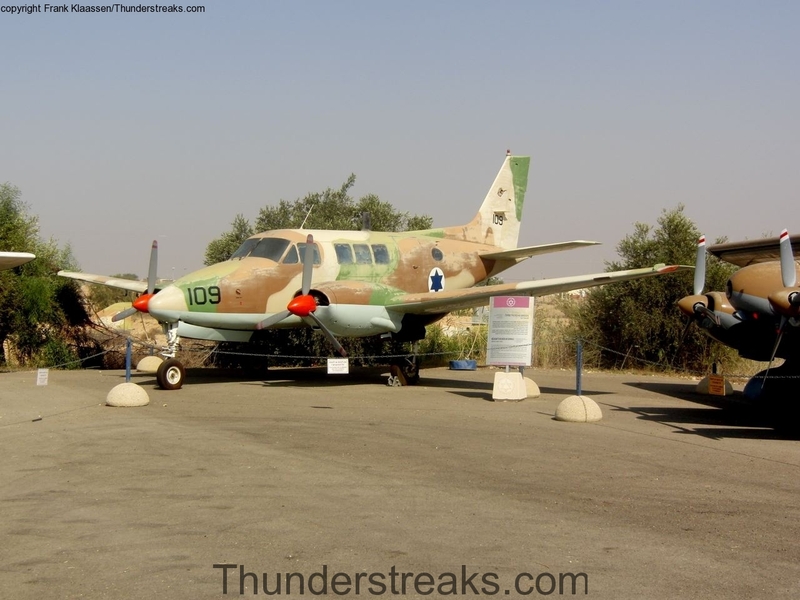 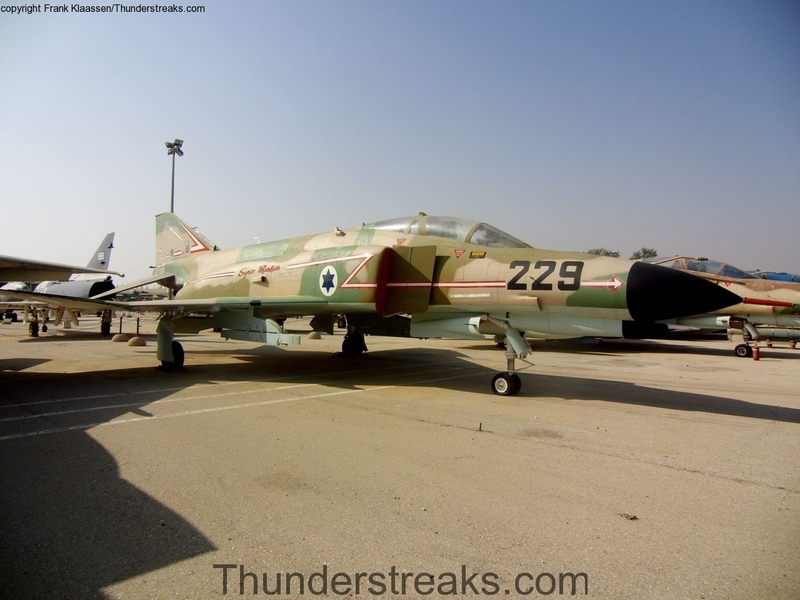 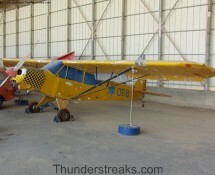 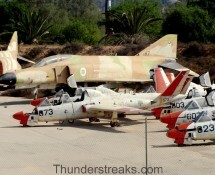 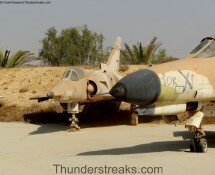 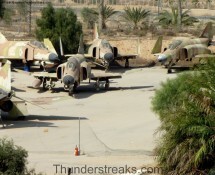 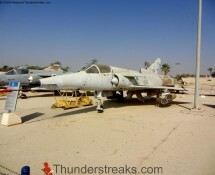 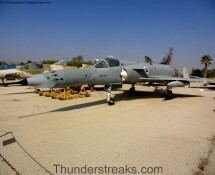 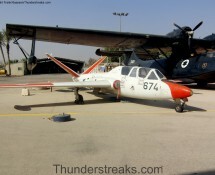 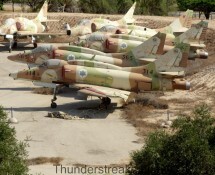 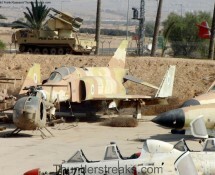 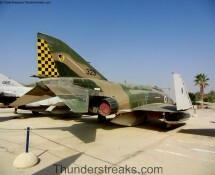 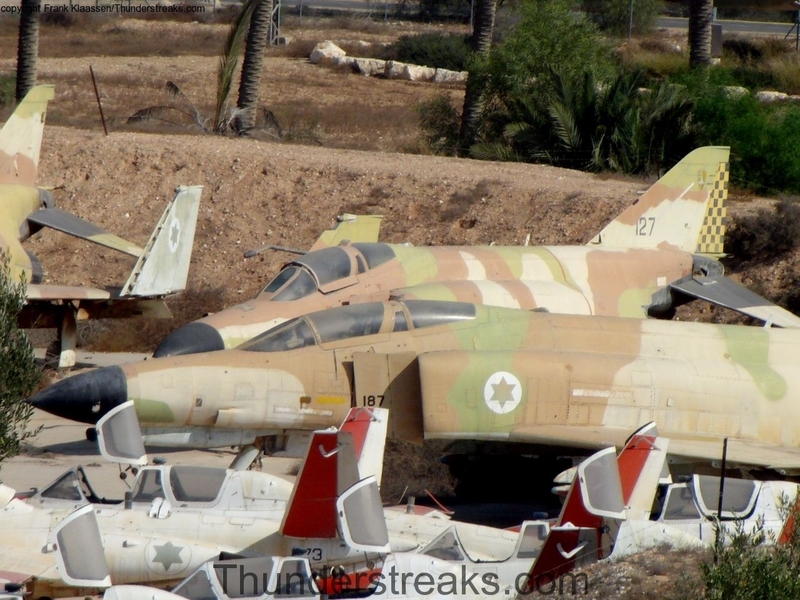 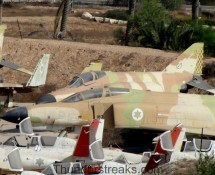 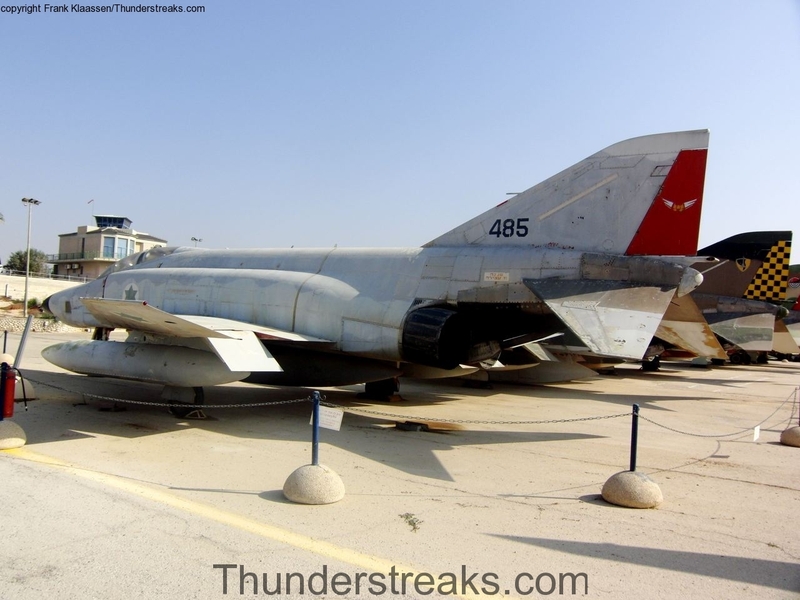 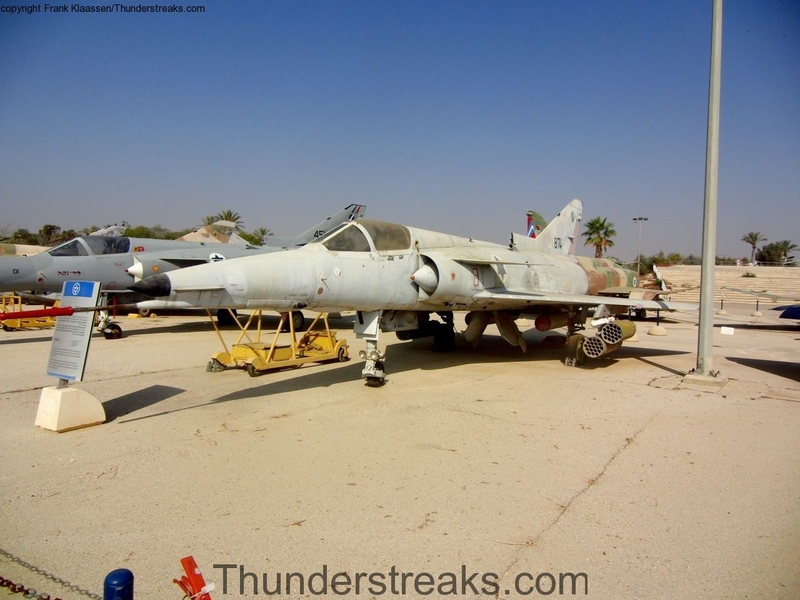 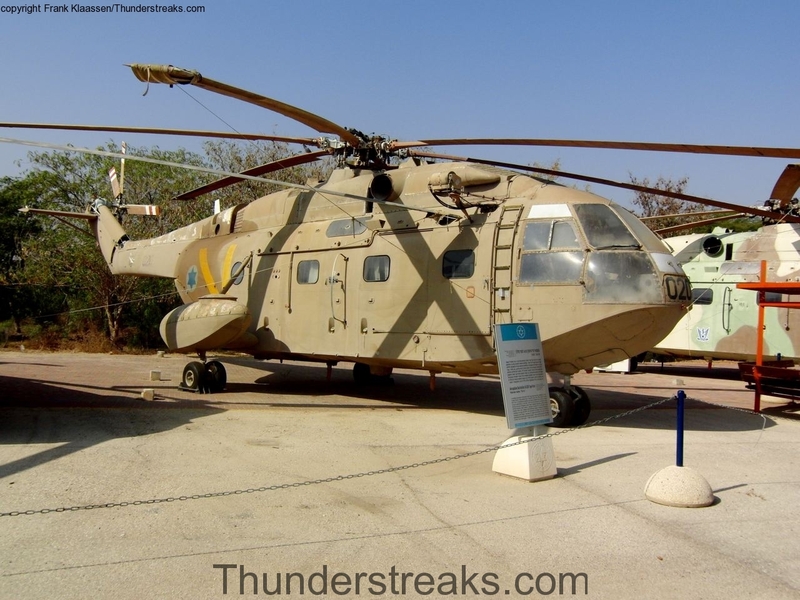 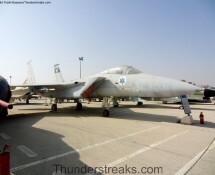 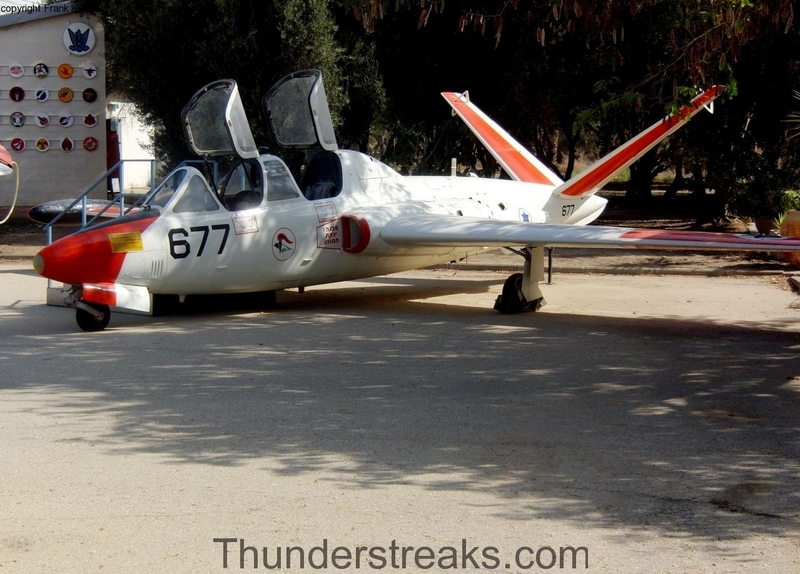 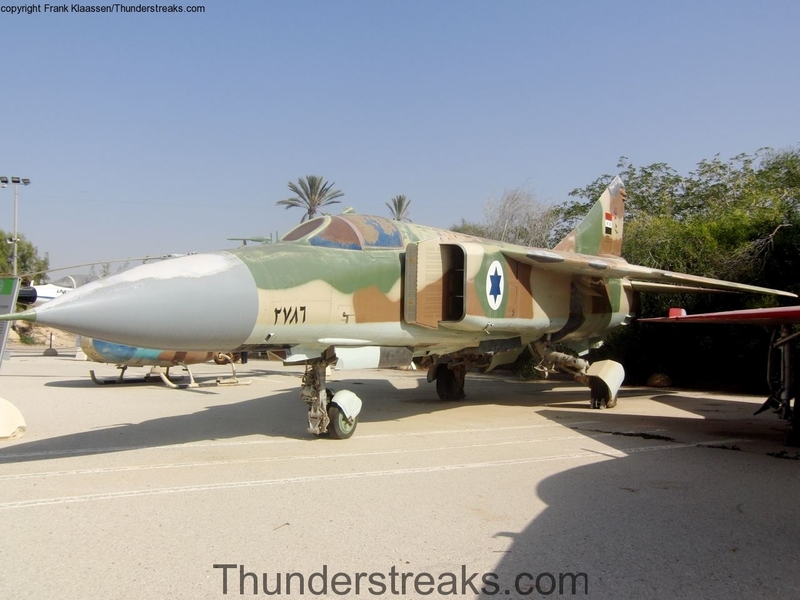 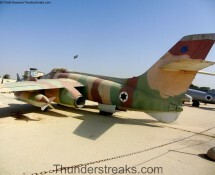 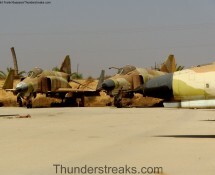 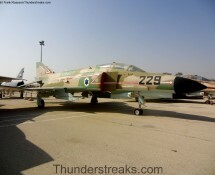 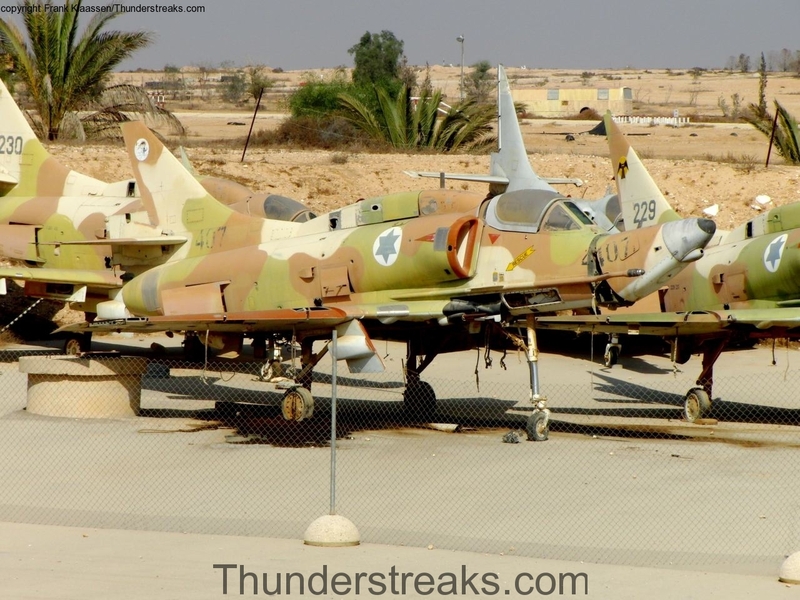 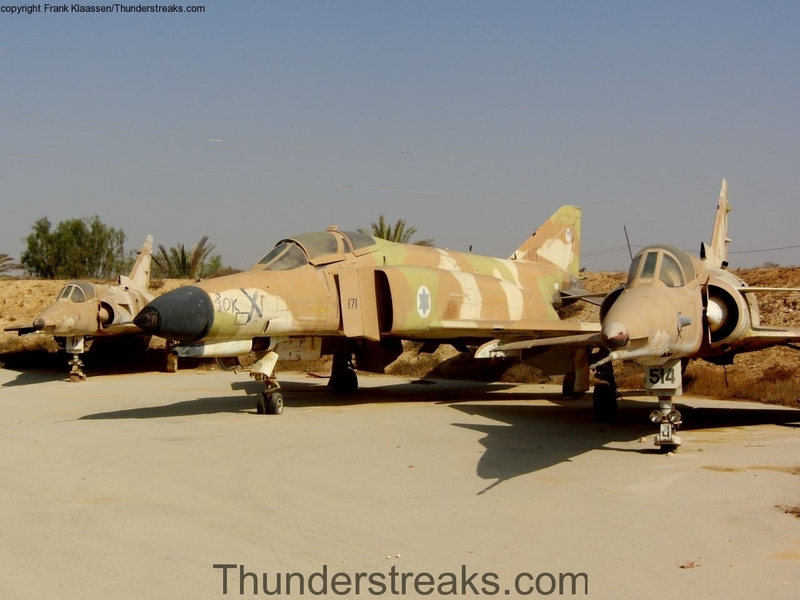 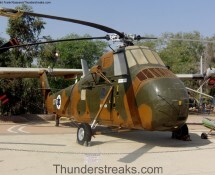 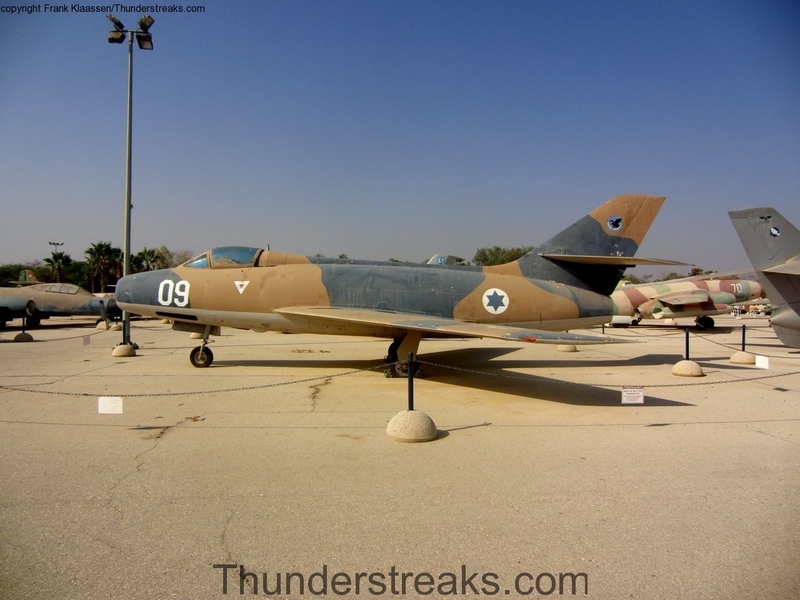 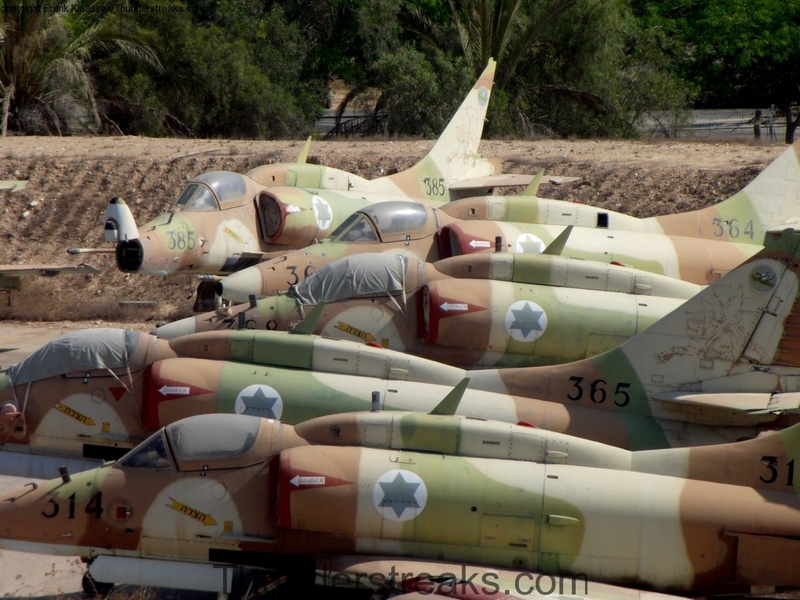 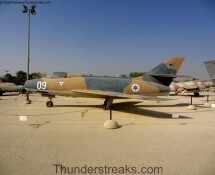 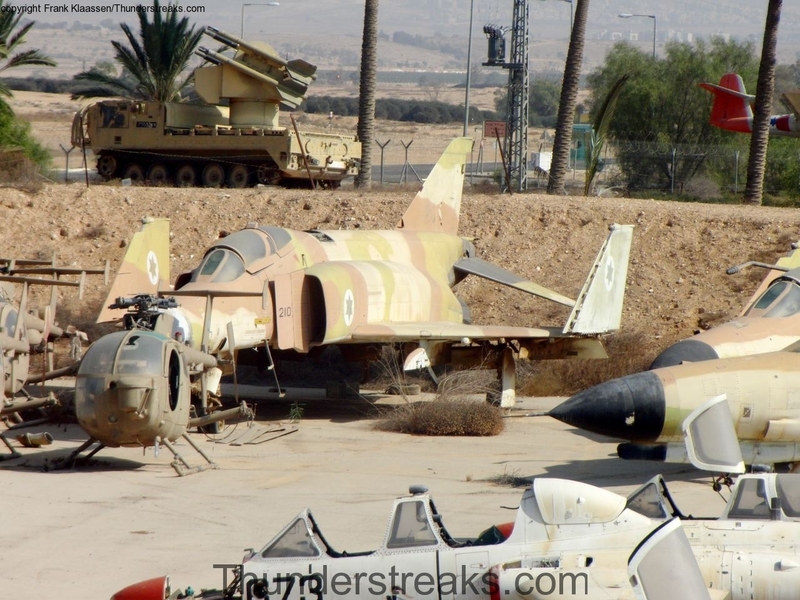 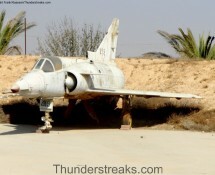 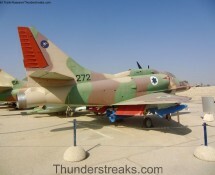 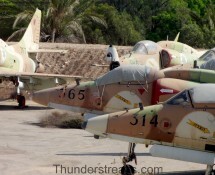 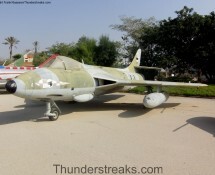 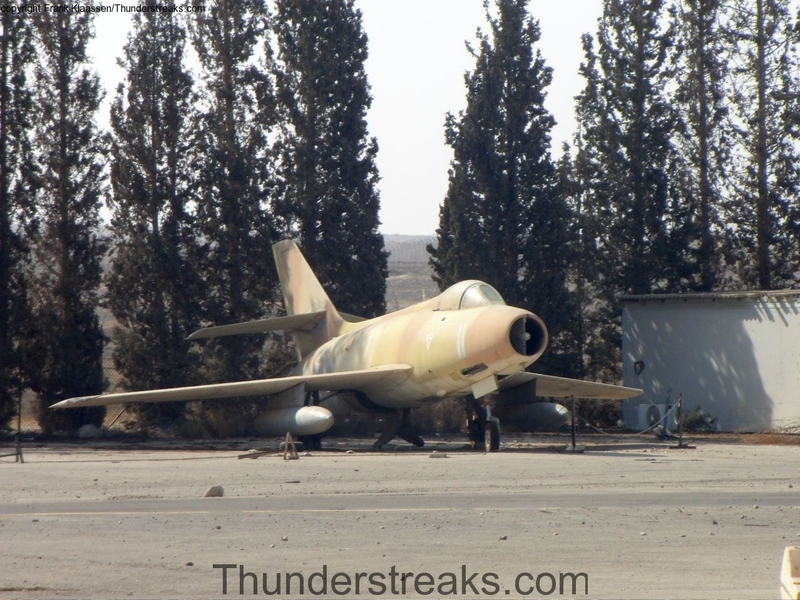 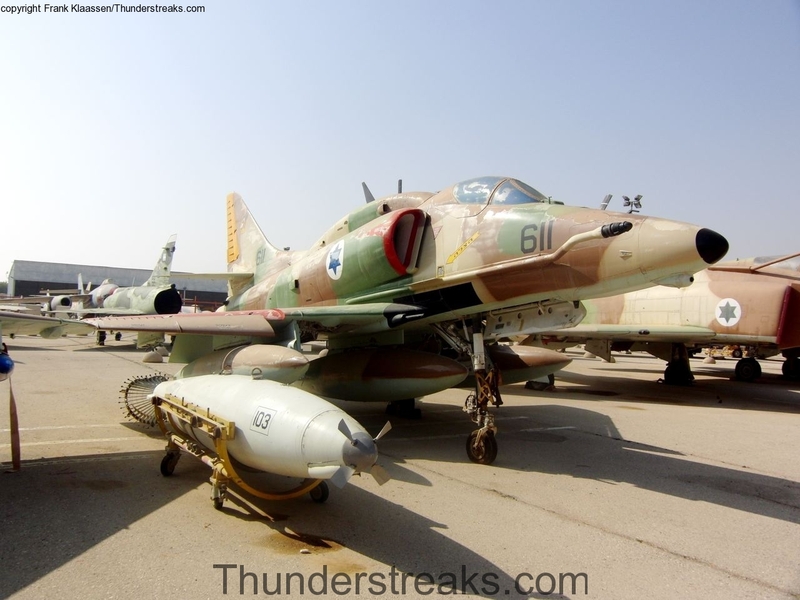 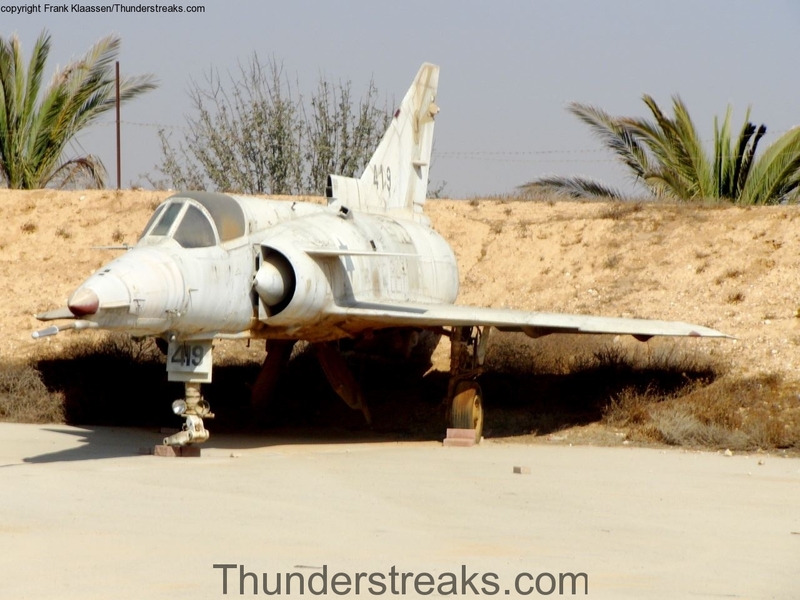 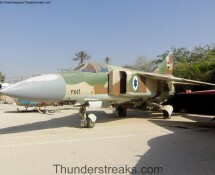 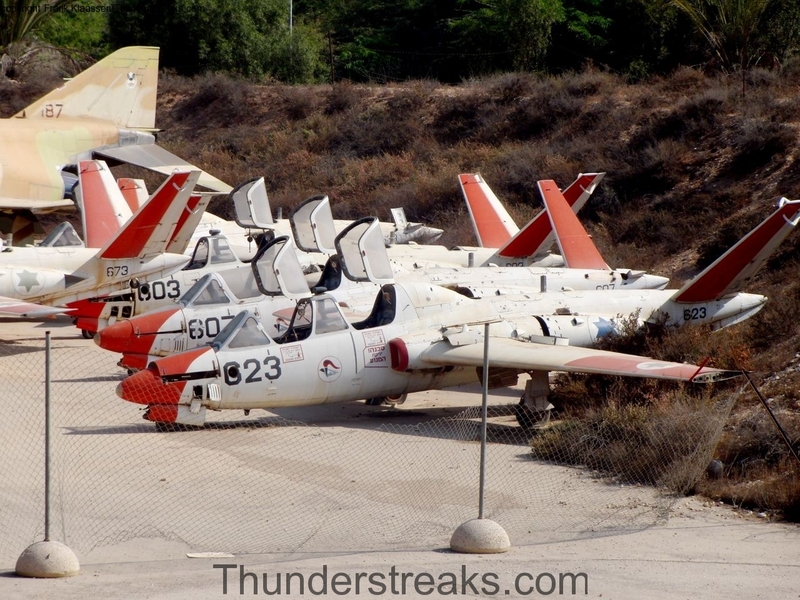 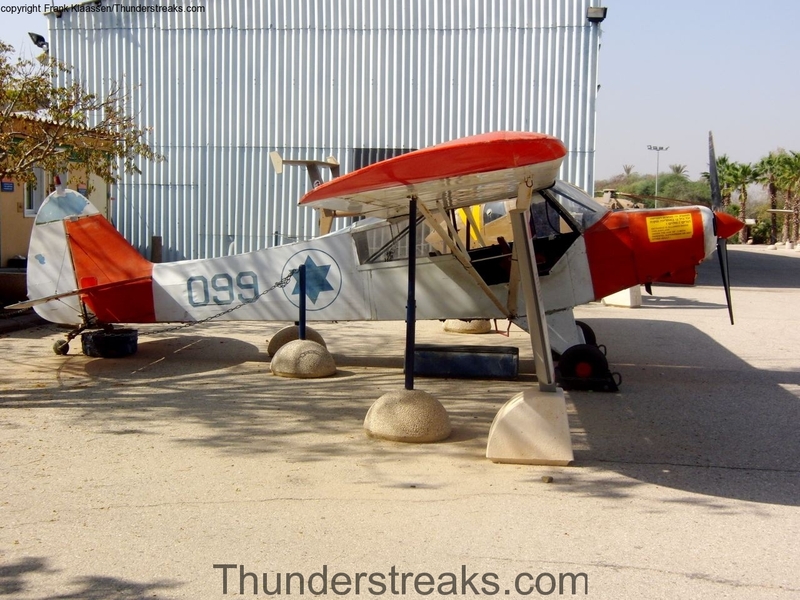 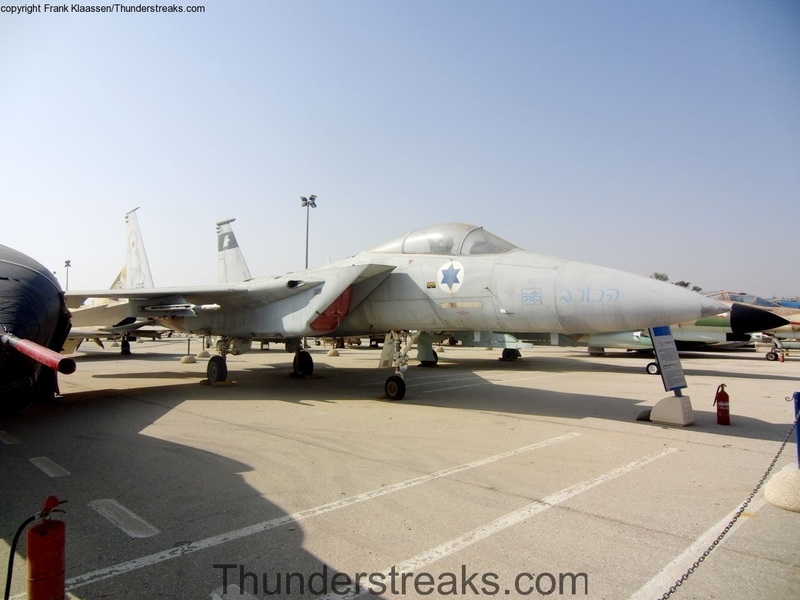 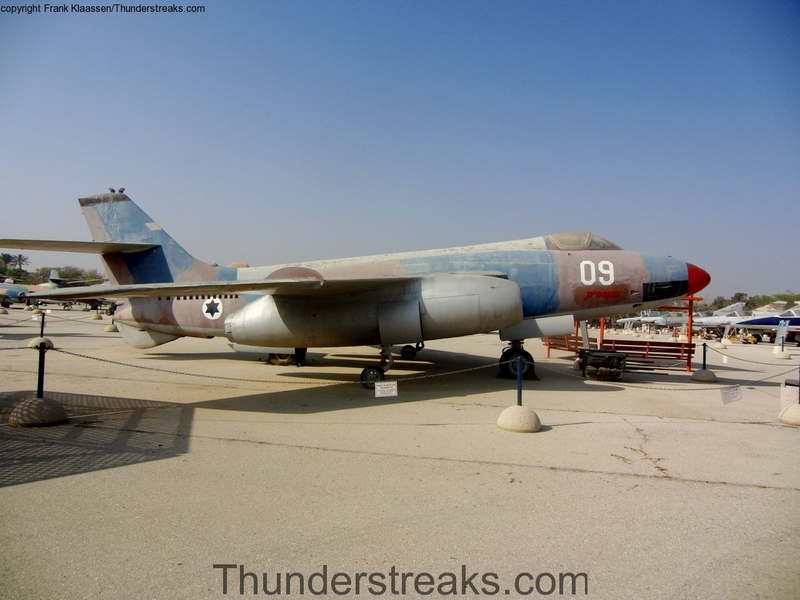 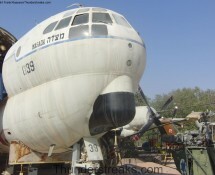 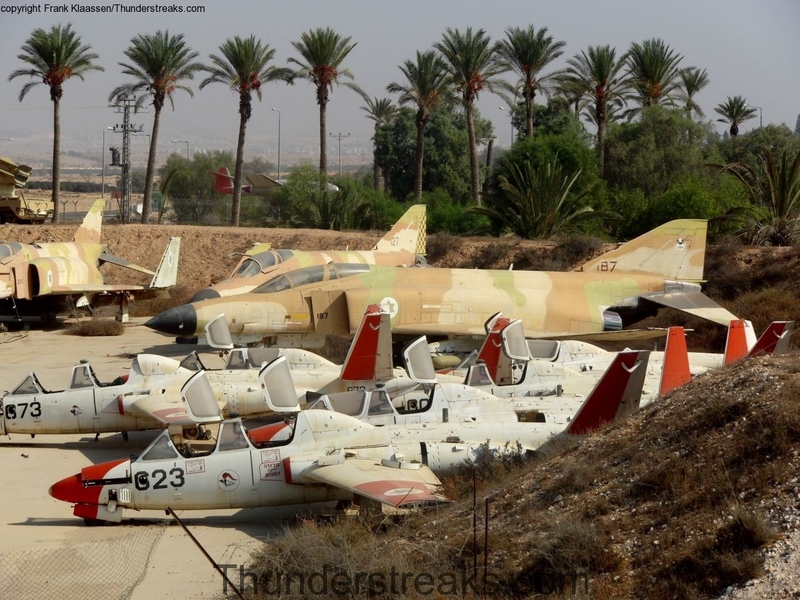 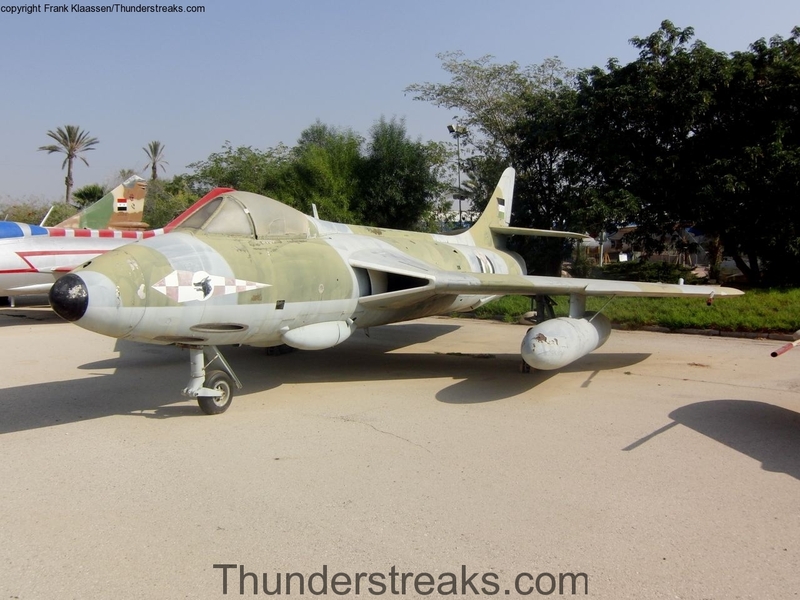 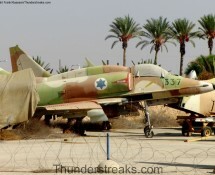 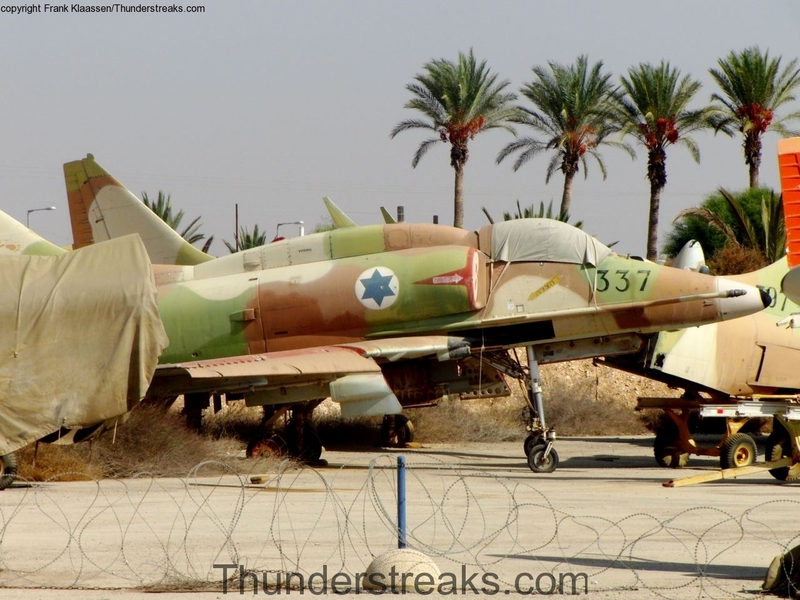 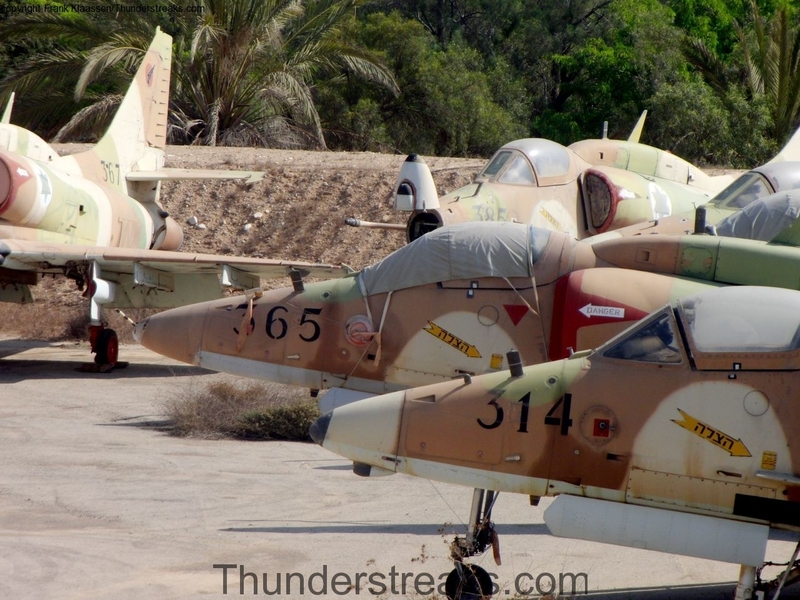 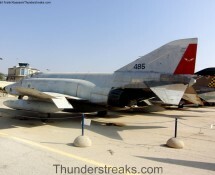 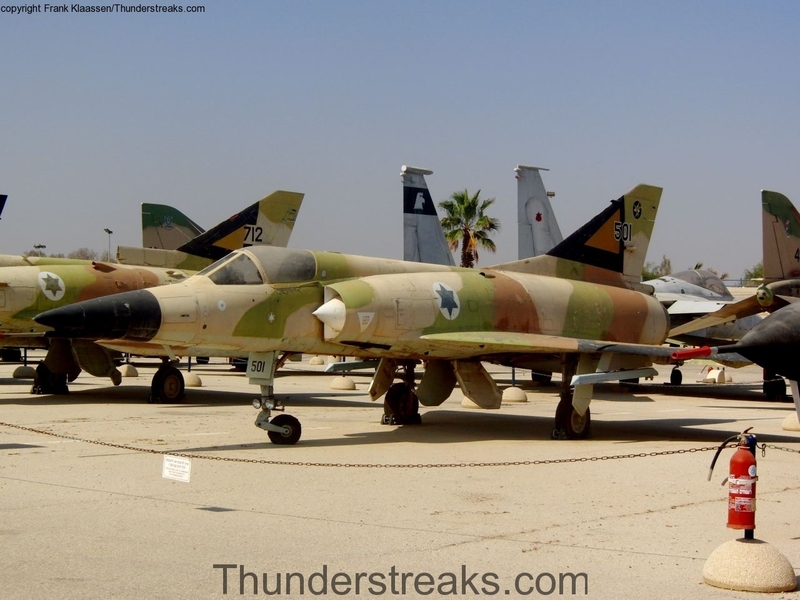 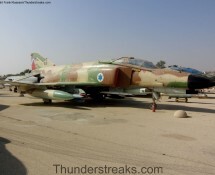 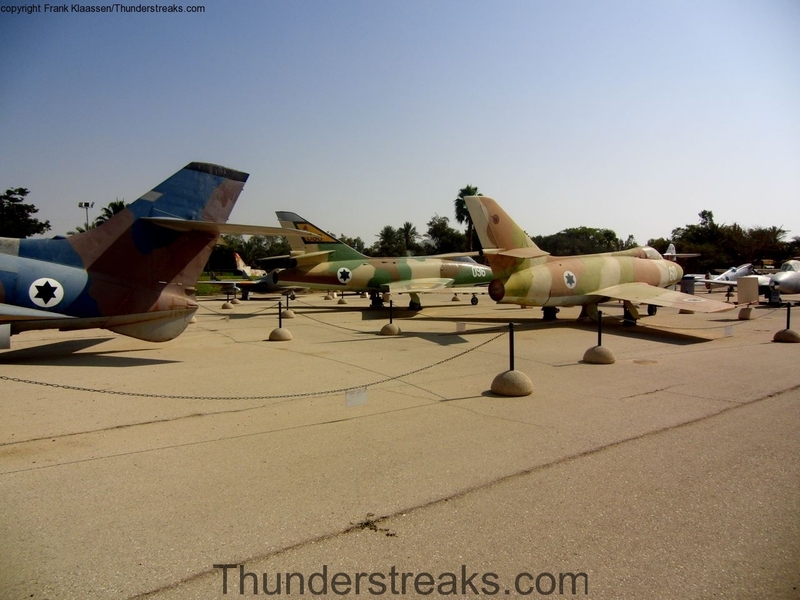 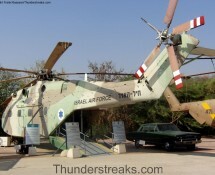 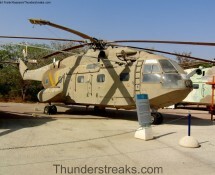 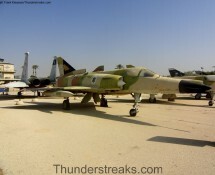 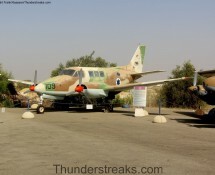 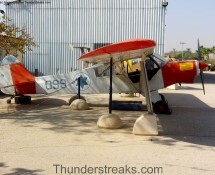 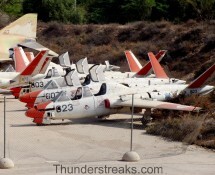 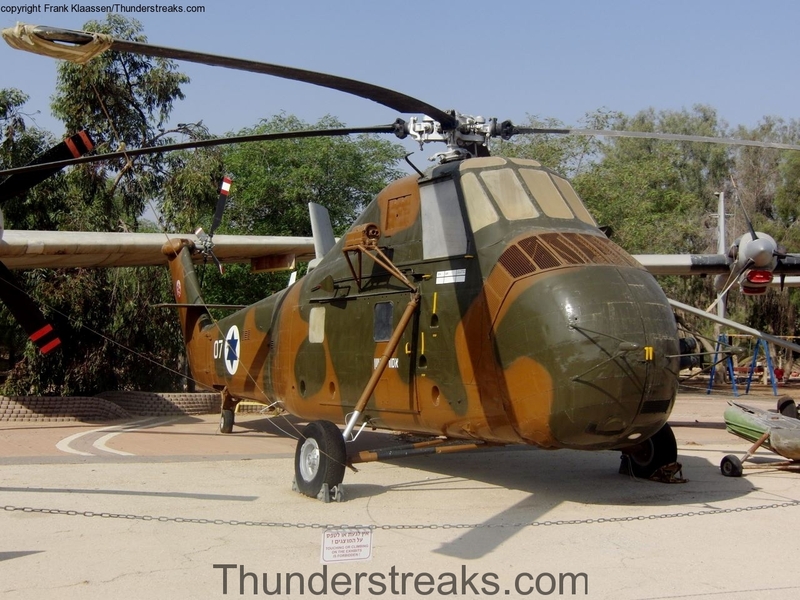 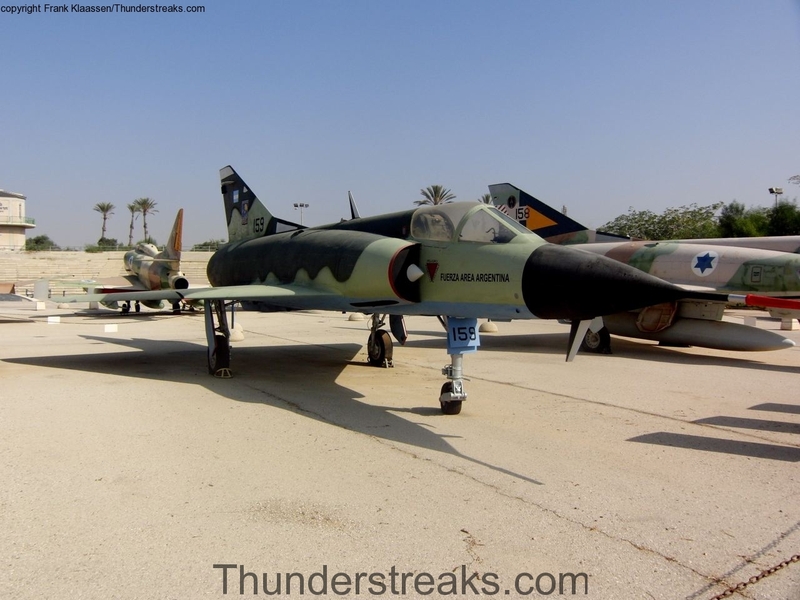 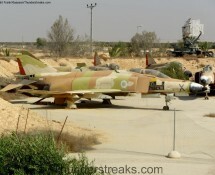 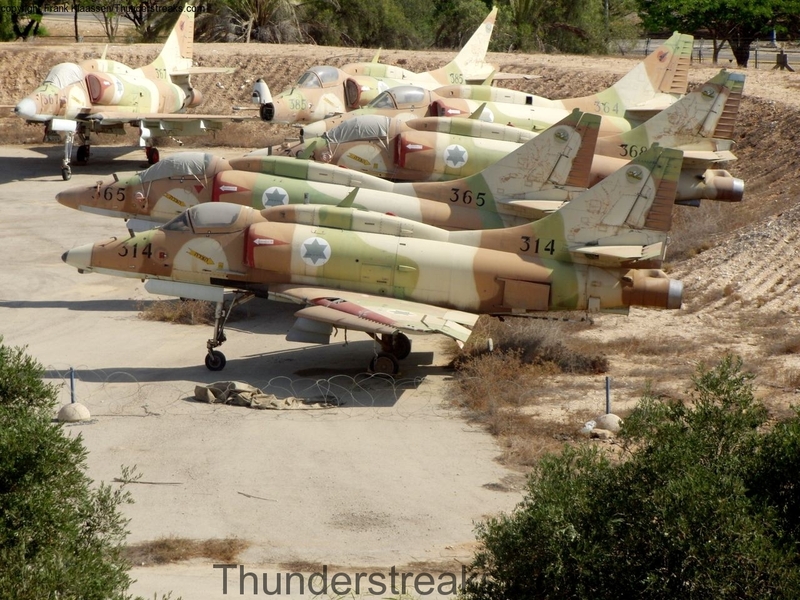 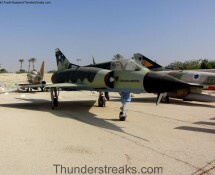 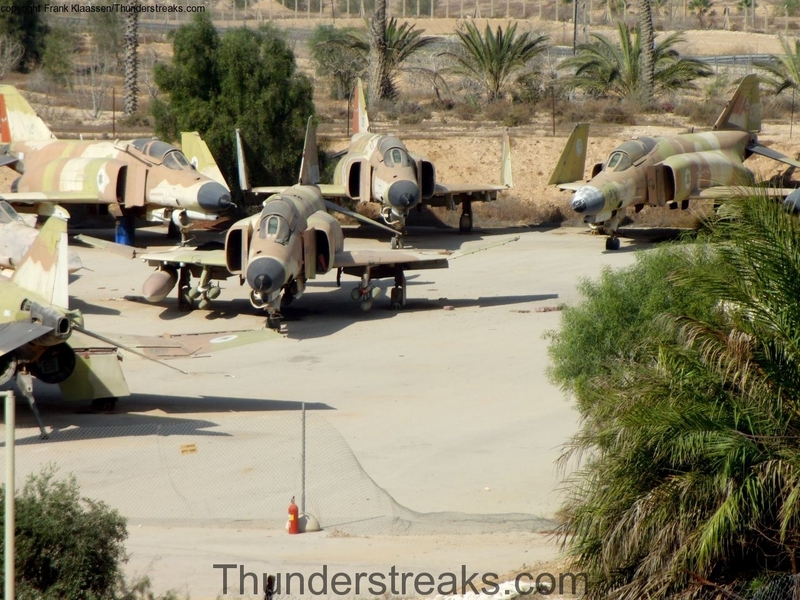 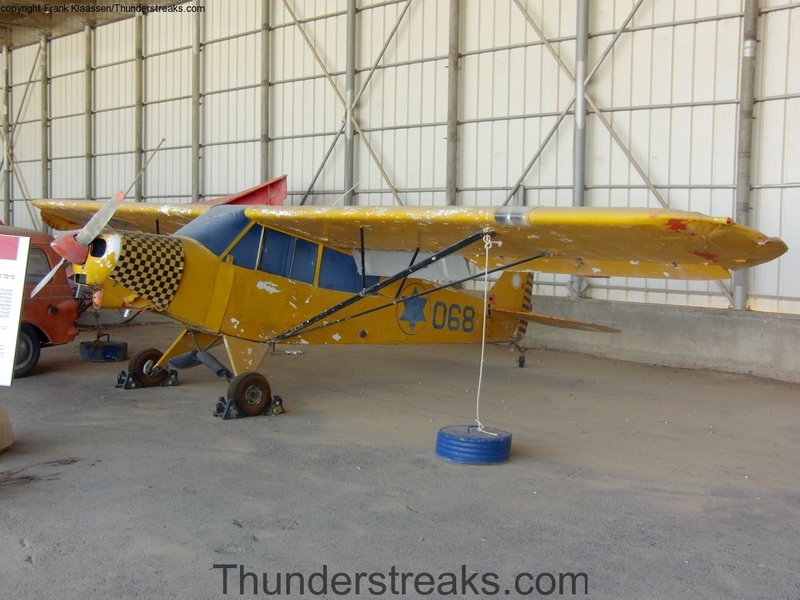 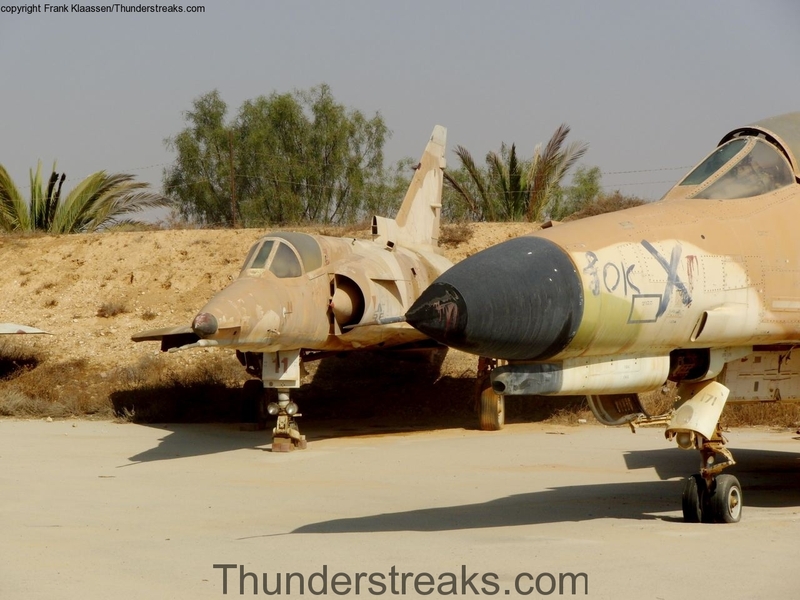 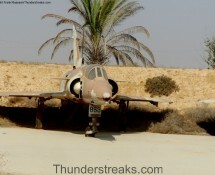 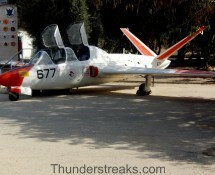 Israel has a very interesting aircraft museum, located in a corner of Hatserim Air Base. 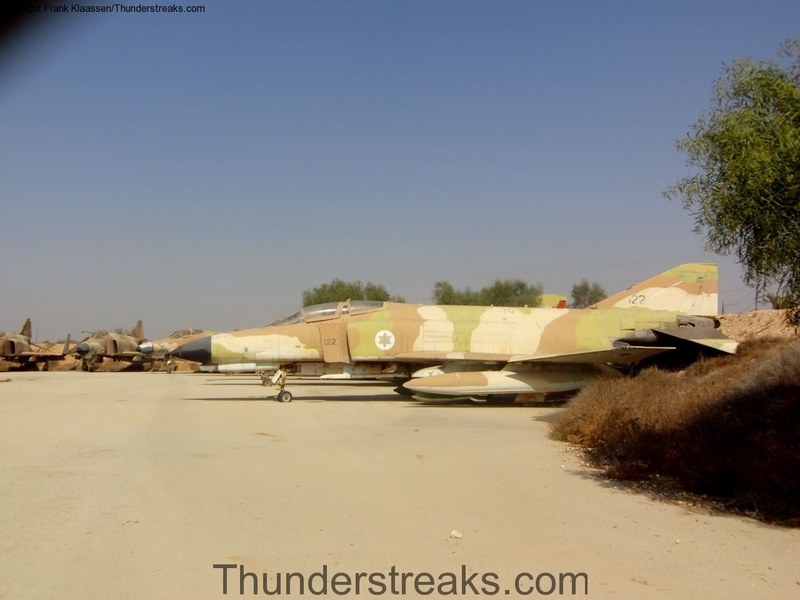 Hatserim is in the Negeb desert, some 150 kms south of Jeruzalem. 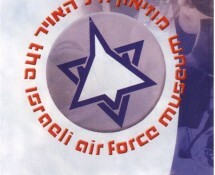 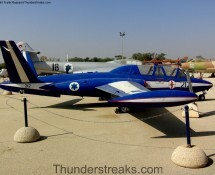 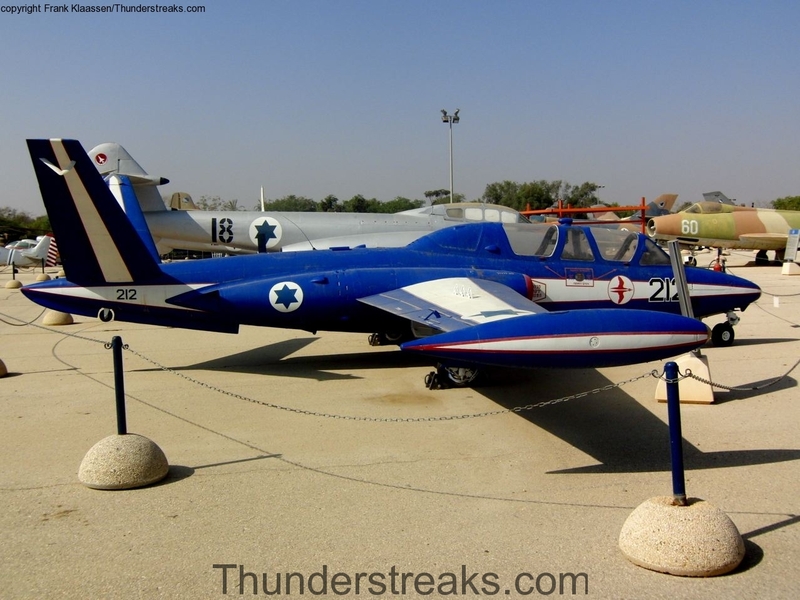 The museum exhibits all types that ever entered service with the Israeli Air Force. 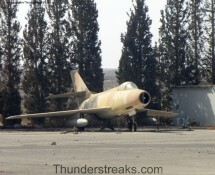 Hatserim Airbase also houses a storage centre which is adjacent to the museum. 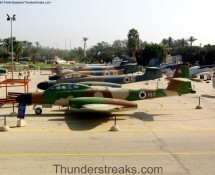 Frank was there in November 2010 and pictured both in the museum as well as some of the aircraft held in open storage.